There are a few great Playa del Carmen bike trails and bike paths that I recommend now in 2018 and there are a couple that I currently don’t like. I will give you some details about a couple bike rides inside Playa’s gated communities and beyond here so you can have a fun and safe bike ride while you are in Playa and the surrounding area. We have had a lot of people more recently staying in the area of Xcalacoco Beach a little bit north of Playa back towards Cancun. It is a beautiful beach and now has more hotels and resorts like Azul Fives, Petit Lafitte and Viceroy along with a mix of small villas and beach houses. 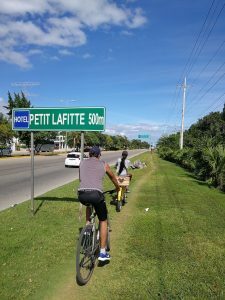 The biggest question has been “Is it possible to ride to Playa del Carmen from this area without riding up on the highway?” The answer is yes it is possible, with only a small portion of the ride along the highway on a path. I no longer recommend riding much on the highway for safety reasons unless it’s possible to ride on a path away from the road traffic. 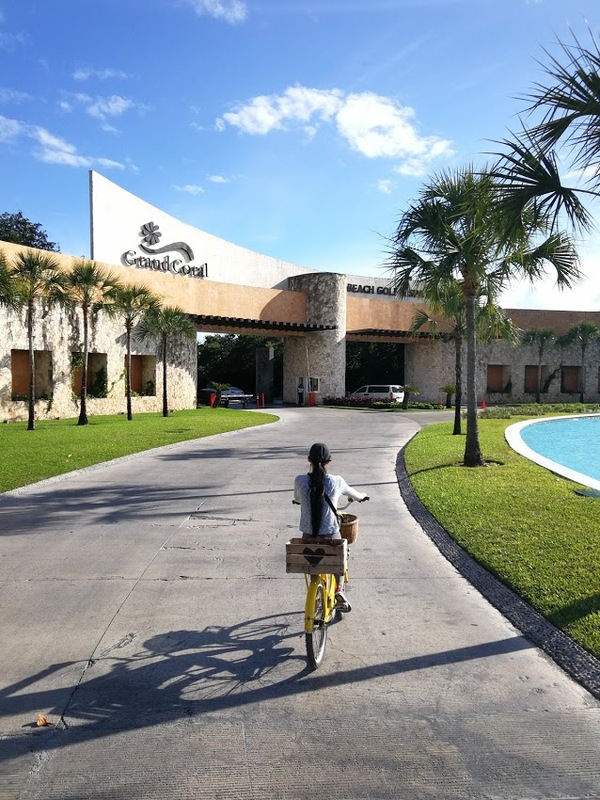 We found a great route by riding through the Grand Coral gated community which connects to downtown Playa easily from the entrance on 5th ave. just after calle 112. After easily entering the Grand Coral, we enjoyed a beautiful ride on the wide open bike lanes with beautiful views of the golf course and big iguanas lurking everywhere. Their was no problem with the security guards entering either entrance and we even rode a bit on the golf course cart path without problems! I’m sure this is not allowed but being Sunday nobody seemed to notice or care. I would highly recommend riding in the Grand Coral. After exiting the Grand Coral up onto the highway it was just a short ride on a safe trail along the highway to the Xcalacoco Beach area where Petit Lafitte, Azul Fives and other hotels can be found. It’s possible to take your first right after leaving Grand Coral and follow this new paved road down to a great trail on the left at the end of the road that will take you directly to the beach area without a lot of traffic. This is the route we took and really enjoyed it. We tried the main road on the way back but it had a lot more traffic to contend with. 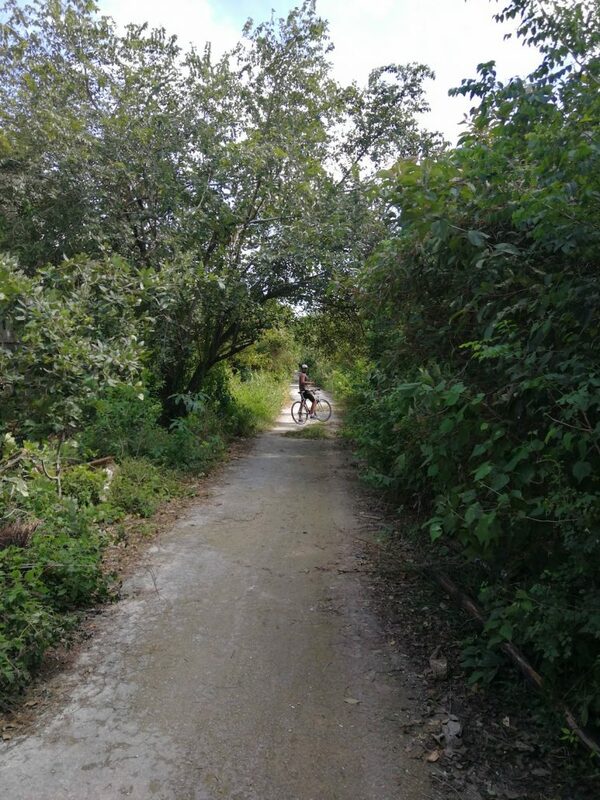 This was a great bike ride that I would highly recommend for groups looking for a little more than a light city ride or people staying in the Xcalacoco Beach area looking for a fun and economical way to enter Playa without a car or taxi ride. 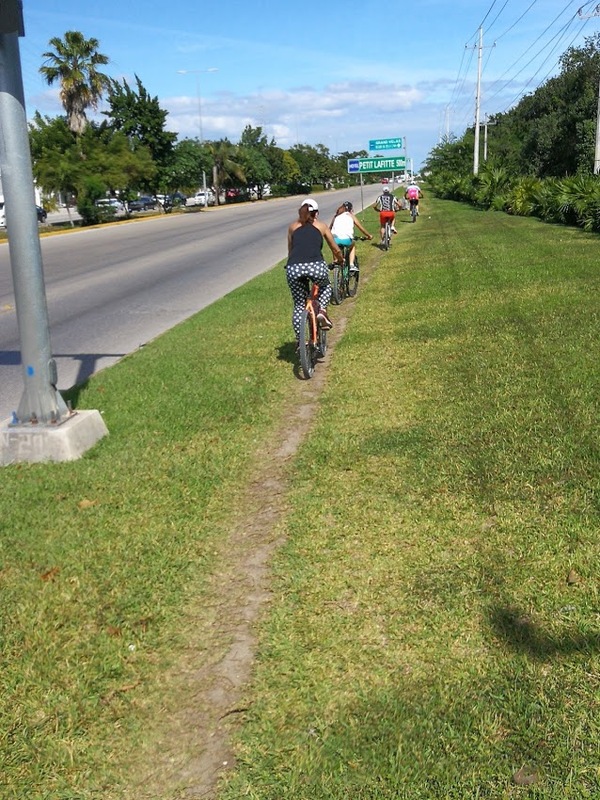 So what do I not like for a Playa Del Carmen bike path now in 2018. Playacar Phase 2. If you are currently living or staying as a guest inside this older gated community next to Playa del Carmen you may already know that the administration managing the security entrances has recently changed. They are stopping and blocking people all the time and not allowing people driving, biking or walking to enter or exit who do not have a valid resident card, gate sensor or other proof that they are staying inside this giant gated community which has become like a separate, exclusive suburb of Playa. 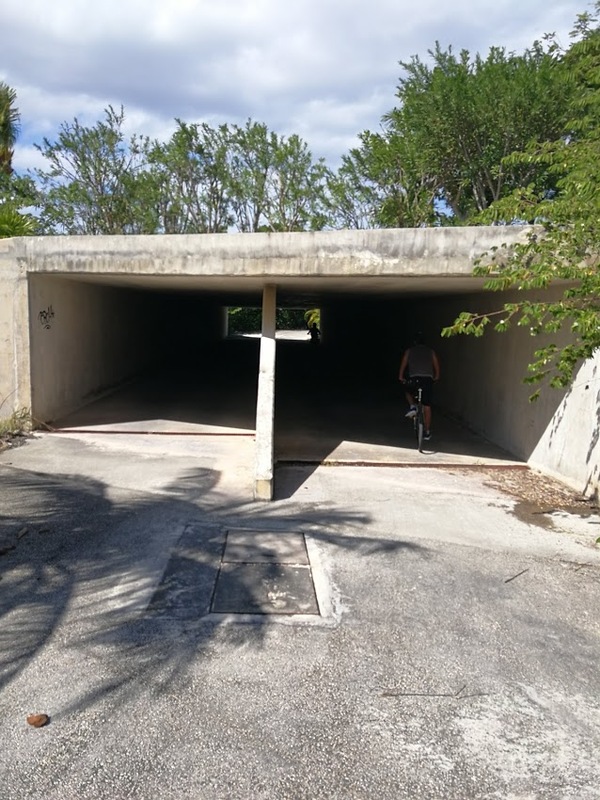 What used to be a great place to jog or go for a bike ride for anyone in Playa is know only for people living or vacationing inside. I have talked to many people, living and vacationing, who have had serious problems entering and exiting Playacar Phase 2 recently or several people including myself who have had the gate bar lowered on their cars and then told they have to pay 6000 pesos for damaging it. Recently we have not been allowed to enter and deliver bikes without our customers filing for a special permission before hand for us to enter. Please contact me if you have any questions about cycling or renting bikes in Playa del Carmen.